Molds are organisms that may be found indoors and outdoors. They are part of the natural environment and play an important role in the environment by breaking down and digesting organic material. Molds are neither plants nor animals. They are part of the kingdom Fungi. Fungi are not plants. Fungi are not animals. Fungi belong to a kingdom of their own. Plants convert carbon dioxide directly into carbohydrates for food. Animals and fungi must find complex carbon in the environment for food. While animals ingest the food and degrade it internally, fungi excrete chemicals (enzymes) into the environment that degrade the complex carbon into soluble form. Fungi do not make their own food they way that green plants do. Fungi get nourishment from other living organisms. The main role of fungi in the ecosystem is to break down dead materials, such as dead leaves, trees, insects, and animals. The same enzymes that assist fungi in breaking down dead materials are the same that can damage wooden components in a building. Molds can damage food, stored goods, and building materials of houses. Yeast, mold, mildew, and mushroom are terms that are commonly used to refer to fungi. 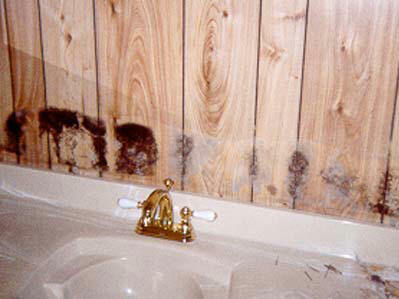 Mold is essentially a description of fungi growing on surfaces (like the black substance on a moldy shower wall). Mold and mildew often refer to the same fungi. All mold is fungi; not all fungi is mold. Molds come in many colors including white. "Black mold" is not a species or specific kind of mold, and neither is "toxic mold." Sometimes the news media use the terms "toxic mold" and "black mold" to refer to molds that may produce mycotoxins or for a specific mold, Stachybotrys chartarum. Molds that produce mycotoxins are often referred to as toxigenic fungi. Molds can multiply by producing microscopic spores (2 - 100 microns [μm] in diameter), similar to the seeds produced by plants. Many spores are so small they easily float through the air and can be carried for great distances by even the gentlest breeze. The number of mold spores suspended in indoor and outdoor air fluctuates from season to season, day to day, and even hour to hour. No one knows how many species of fungi exist, but estimates range from tens of thousands to perhaps three hundred thousand or more. Some of the common indoor molds are Penicillium, Aspergillus, Cladosporium, and Alternaria. 3) the negative aesthetic effects fungi can produce both visually and on the human olfactory systems. Although the issue of whether exposure to indoor fungi causes adverse health effects is controversial, there is no doubt that a seriously mold-contaminated building can suffer structural damage and that a foul-smelling, fungus-filled building is aesthetically unpleasing. Controversies about health effects aside, the latter two reasons are sufficient to merit a complete mold inspection and remediation when an environment is found to have fungal contamination. People who have concerns about structural damage or the aesthetic effects of indoor fungi should seek the services from a certified mold inspector. People who have concerns about health effects of mold exposure should seek the counsel of a health care professional. The structures of fungi vary widely. Some fungi have rigid cellular walls that are made of chitin. Chitin is resistant to breakdown as compared to the cellulose that makes up the cellular walls of plants. Spores can survive a very long time in harsh conditions until the environment is suitable for growth. Mold has like long, threadlike strings of cells called hyphae. Hyphae form into a tangled mass called mycelium. (The mycelium growth is the fuzzy stuff on bread.) The strings that grow down into the bread are the mycelium, which is not seen. The whole fungus body is called a thallus. Spores are produced in large numbers. They are located on the hyphae. Fungi grow well in moist, dark areas, but can be found wherever organic material is available. Molds can grow on a variety of surfaces, including paint, jet fuel, wallpaper, glass, and stainless steel. 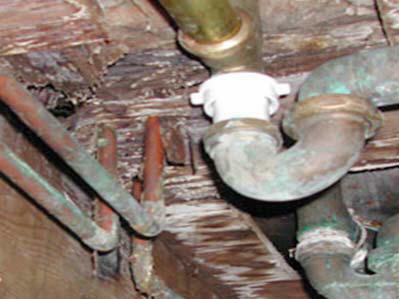 Moisture is necessary for mold growth. Moisture may come from the air and from the material upon which they grow. If the environment becomes very dry, fungi survive by going dormant or by producing spores that resist drying out. Fungi can spread via the tiny spores through the air. When a spore lands upon a surface that is moist and has material that can be used for food, it germinates and begins to grow. Hyphae grow out of the spores. Some grow up to the air. Spores are produced on the hyphae that grow upwards, above the food material. Spores can then be blown by the wind and spread to new areas. A change in the humidity level can increase spores in the air. A high relative humidity (RH) can burst the moist, swollen cells of the mold body that form spores. This is true for Penicillium and Aspergillus, two very common indoor molds. Foot traffic, carpet vacuums, or increased ventilation increases the number of airborne mold spores. Some hyphae grow down into the food material. Cells of the hyphae produce chemicals. Those chemicals break down the material (fruit, paper, wood) into food that the fungus can absorb. Most of the mold body is the hyphae that is buried in the food material and is out of sight. What is visible is the part of the mold body that produces spores. Inhalation exposure to mold indoors can cause health effects in some people. Molds produce allergens (substances that can cause allergic reactions), irritants, and in some cases, potentially toxic substances or chemicals (mycotoxins). Inhaling or touching mold or mold spores may cause allergic reactions in sensitive individuals. Mold does not have to be alive to cause an allergic reaction. Dead or alive, mold can cause allergic reactions in some people. There are different types of people who can be affected by mold more severely and sooner than others. They are infants, children, elderly people, individuals with respiratory conditions and sensitivities such as allergies and asthma, persons having weakened immune systems (for example, people with HIV infection, chemotherapy patients, organ transplant recipients). Sensitive people should avoid areas that are likely to have mold, such as compost piles, cut grass, and wooded areas. Allergic reactions to mold in buildings do occur for many sensitive people. However, there is no conclusive evidence that proves mold in a building directly causes human health illnesses. More research is needed. Mold research is continuous. Mold-related exposure and human health is a complex and emerging science. There are many symptoms of mold exposure. Current evidence indicates that allergies are the type of diseases most often associated with molds. An allergic reaction is the most common symptom that could include wheezing and difficulty in breathing. Inhalation of fungal spores, fragments (parts), or metabolites (mycotoxins and volatile organic compounds) from a wide variety of fungi may lead to or exacerbate immunologic (allergic) reactions, cause toxic effects, or cause infections. Repeated or single exposure to mold, mold spores, or mold fragments may cause non-sensitive individuals to become sensitive to mold, and repeated exposure has the potential to increase sensitivity. Allergic responses include “hay fever”-like symptoms such as headache; sneezing; runny nose, red eyes, and skin rash (dermatitis). Molds can cause asthma attacks in people with asthma who are allergic to mold. Fungi in buildings may cause or exacerbate symptoms of allergies, especially in persons who have a history of allergic diseases (such as asthma and rhinitis).3 In addition, molds can irritate the eyes, skin, nose, throat, and lungs of individuals whether or not they are allergic to mold. Other symptoms include nasal and sinus congestion; burning, watery, red eyes; sore throat; dry cough; and general skin irritation. These and other symptoms may be associated with exposure to mold. But all of these symptoms may be caused by other exposures or conditions unrelated to mold growth. Therefore, it is important not to assume that, whenever any of these symptoms occurs, mold is the cause. The effects of mold exposure can be acute or chronic. An acute effect is an immediate, severe reaction to a large exposure. A chronic effect may take days, months or years to manifest and usually comes from small, repeated exposures. If a person experiences these symptoms only when occupying a particular building, then that person may possibly be experiencing symptoms of mold exposure. There are four important indoor allergenic molds. They are Penicillium, Aspergillus, Cladosporium, and Alternaria. Alternaria and Cladosporium are outdoor molds that can be found indoors if the doors or windows of a building are left open and the spores are carried by air currents. 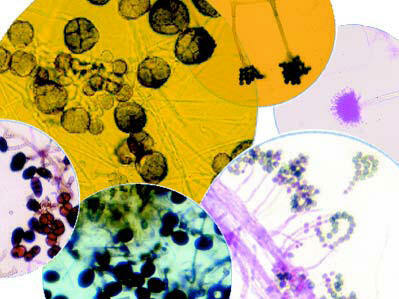 For more detailed information on mold and its health effects, consult a health professional. You may also wish to consult your state or local health department. Only a small group of fungi have been associated with infectious disease. Aspergillosis is an infectious disease that can occur in immune-suppressed persons. 3 Health effects in this population can be severe. People with chronic lung illnesses, such as obstructive lung disease, may develop mold infections in their lungs. 4 Several species of Aspergillus are known to cause Aspergillosis. The most common is Aspergillus Fumigatus. Exposure to this common mold, even to high concentrations, is unlikely to cause infection in a healthy person. Breathing in mold may also cause hypersensitivity pneumonitis, an uncommon disease that resembles bacterial pneumonia. In addition, mold exposure may result in opportunistic infections in persons whose immune systems are weakened or suppressed. There are fungal infections that can affect healthy people. They are pathogenic fungi sometimes found inside a building: Blastomyces (which inhabit decaying wood), Coccidioides (found in South Western United States), Cryptococcus (in bird droppings), and Histoplasma (in bat droppings). People, without adequate personal protection equipment (PPE), who come in contact with bird or bat droppings, such found in attics, could be at very high risk. People with compromised immune systems can be seriously affected by fungal infections. Exposure to fungi associated with bird and bat droppings (Histoplasma capsulatum and Cryptococcus neoformans) can lead to health effects, usually transient flu-like illnesses, in healthy individuals. Severe health effects are primarily encountered in immune-compromised persons. As molds grow, some (but not all) of them may produce potentially toxic byproducts called mycotoxins under some conditions. 1 Some of these molds are commonly found in moisture damaged buildings. Exposure to mycotoxins can occur from inhalation, ingestion, and skin contact. More than 200 mycotoxins from common molds have been identified, and many more remain to be identified. The amount and types of mycotoxins produced by a particular mold depends on many environmental and genetic factors. No one can tell whether a mold is producing mycotoxins just by looking at it. Many fungi, including species of Aspergillus, Penicillium, Fusarium, Trichoderma, Memnoniella, and Stachybotrys Chartarum, can produce potent mycotoxins, some of which are identical to the compounds produced by Stachybotrys Chartarum.3 Mycotoxins are fungal metabolites that have been identified as toxic agents. There are studies that suggest an association between Stachybotrys Chartarum and pulmonary hemorrhage/hemosiderosis in infants, generally those less than six months old. Toxic substances (mycotoxins) can enter a human body through inhalation, ingestion, or skin absorption. The effects of the toxic substance depend upon the chemical or material, the concentration, the route of entry, and the duration of exposure. Smoking, alcohol, medication, gender, existing health problems are factors that can influence the effects of a toxic substance entering a body. Some mycotoxins are known to affect people, but for many mycotoxins little health information is available. Research on mycotoxins is ongoing. Most of the mold found indoors comes from outdoors, because mold spores can easily float on gentle air currents. If the spores land on suitable organic material inside a building, mold can begin to grow. But mold needs certain things in order to grow and survive. Mold needs (1) moisture and (2) food. 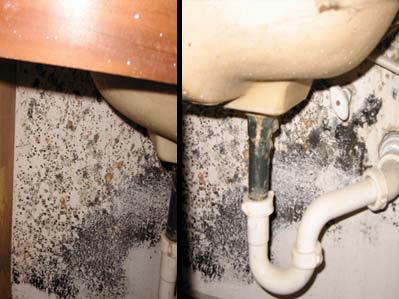 Mold does not need a lot of moisture to grow. 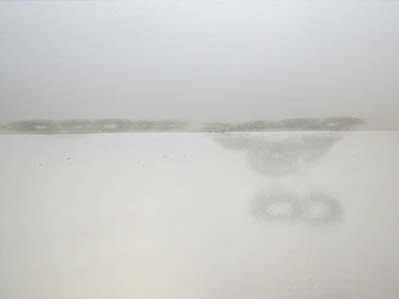 A little condensation, in a bathroom or around a window sill, for example, can be enough. 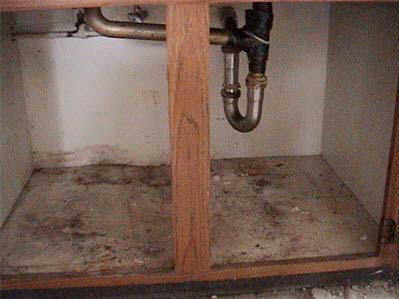 Common sites for indoor mold growth include bathroom tile and grout, basement walls, and areas around windows and sinks. Common sources of water or moisture include roof leaks, condensation due to high humidity or cold spots in a building, slow leaks at plumbing fixtures, humidification systems, sprinkler systems, and floods. Mold has been found to germinate, grow, and produce spores in as little as 24 hours after water intrusion occurs. Indoor relative humidity (RH) should be between 20% and 40% in the winter and less than 60% the rest of the year. Some experts recommended that the indoor humidity levels in general should be between 40% and 60%. Moisture is the most important factor influencing mold growth indoors. Controlling indoor moisture helps limit mold growth. Moisture control is the key to mold control. Besides moisture, mold needs nutrients, or food, to grow. 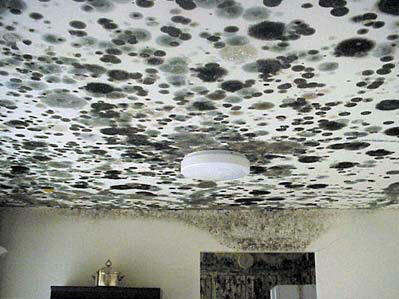 Mold can grow on virtually any organic substance. Most buildings are full of organic materials that mold can use as food, including paper, cloth, wood, plant material, and even soil. Molds secrete digestive fluids that decompose the substrate, making nutrients available. Mold can digest some synthetic materials such as adhesives, pastes, and paints. Molds can grow on inorganic material such as concrete, glass, and metal, because it can grow on the dirt or dust that is present on the surface of those materials. Note: The EPA does not regulate mold or mold spores in the air. There are no federal or state threshold limit values for inspectors to use when interpreting results of mold spores in the indoor environment. There are no federal or state requirements for inspectors in the sampling of mold. More information about mold can be obtained from the Environmental Protection Agency.